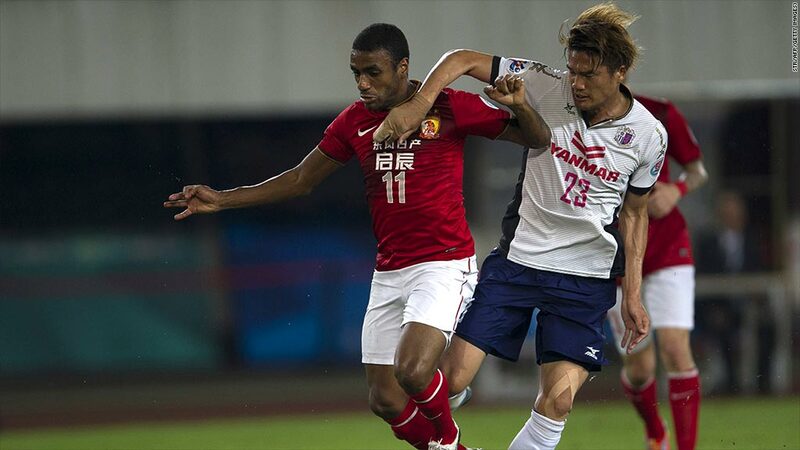 The Guangzhou Evergrande Football Club has become increasingly successful since 2010. Chinese e-commerce company Alibaba has a lot going on right now, readying a giant public stock offering in the U.S. Meantime, it has bought a 50% stake in China's most successful soccer team. Alibaba paid 1.2 billion yuan ($192 million) in the deal for Guangzhou Evergrande Football Club. Jack Ma, the founder and chairman of Alibaba, announced the purchase in the team's home town of Guangzhou on Thursday along with his new co-owner, real estate tycoon Xu Jiayin. Alibaba's much anticipated IPO is expected to haul in more than the $16 billion Facebook (FB) raised in 2012. Guangzhou Evergrande became wildly successful on the Chinese soccer scene since being purchased by the Evergrande Real Estate Group in 2010. The team has won three Chinese Super League titles since the real estate group began pouring money into the team and installed Italian manager Marcello Lippi as the coach. Ma concedes he knows very little about soccer but believes he can help the league improve, saying "amateurs are wanted to make things different." At the same time, Ma tried to assure fans that he would not interfere with the coaching. "My responsibility is to manage the club, not to replace the coach," he said, according to state media. The move, one of several Alibaba has made to diversify, helps the firm expand into entertainment. In April, it bought a 16.5% stake in Youku-Tudou, one of the largest online video services in China. Alibaba is often described as a mix of eBay (EBAY), Amazon.com (AMZN) and Google (GOOG). It's so huge that it dwarfs Amazon and eBay, although few outside of China are familiar with the company -- or its many subsidiaries.